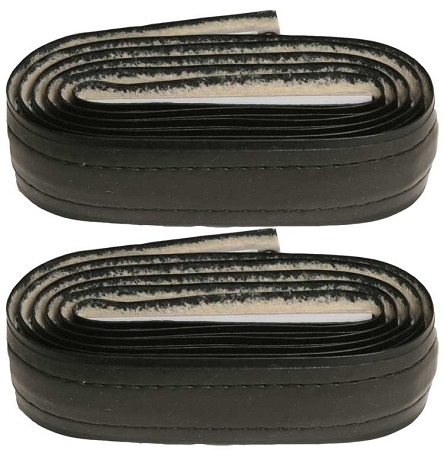 Self adhesive grip tape to fully wrap your handlebars and hooks with a seamless finish. High traction outer synthetic rubber stays grippy even when wet or cold. Zorbicon Gel absorbs vibration for a smoother feel at the handlebars. 46 ¼” long to accommodate all grips over the hook handlebar set ups. Includes handlebar end plugs to seal end of handlebar. Self adhesive back requires no glue.